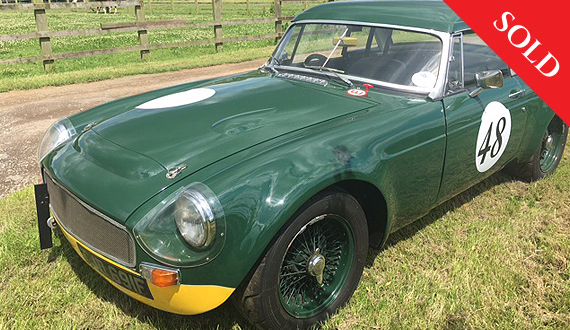 The name John Chatham is famous for racing sports cars in the glory days of the 60s 70s and 80s, mostly with Austin Healey and mg ( mr big Healey). 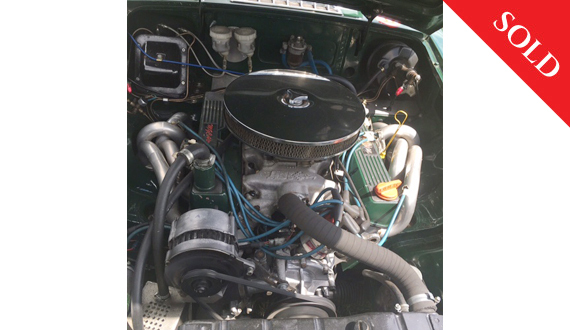 This MGC is a genuine period race car that John enjoyed great success with. In fact John built 4 of the original MGC Sebring cars and used many original Works parts in the building of this particular car. 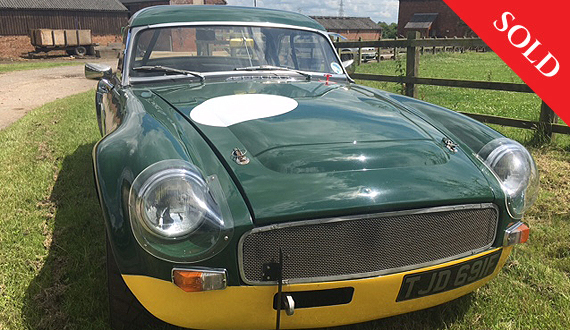 The car was first prepared by John in the 1970s and subsequently featured in the book MG A,B, and C, it was then converted by John to a V8 for the author of this book Chris Harvey. 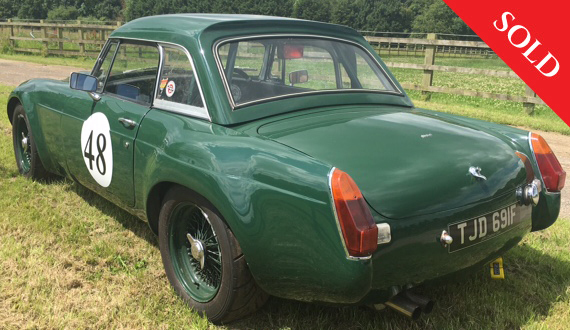 John eventually bought the car back from Chris and more recently it has been rebuilt and prepared for racing once more by John and his son Jack. As part of this process the car had a rover 3.9 stage three rover v8 engine upgrade to give 250 bhp and 240 lb ft torque coupled to a rover SD1 five speed gearbox, with limited slip diff, stainless steel exhaust with lovely tubular manifold, front brakes are three pot calipers, telescopic shock absorbers and Kevlar rear springs, roll cage,Holly carb, and works hard top. 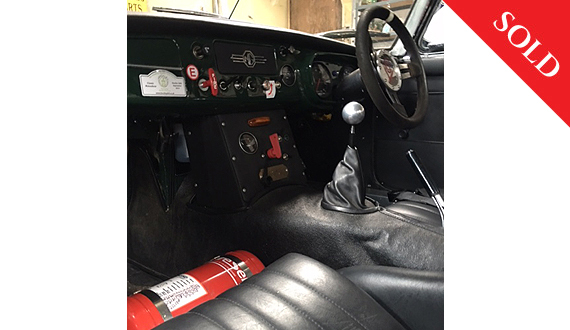 The present owner has used the car for hill climb and sprint events, having fitted new fire equipment and FIA in date drivers belt. The car is ready to go and is just at home on the road or track. 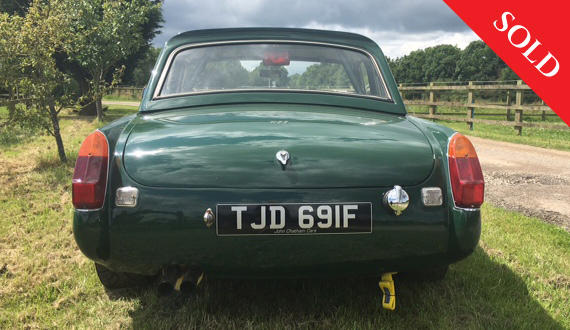 Contains full MOT until June 2017.